A lot can happen in just a few years. This report, “The Valley Alliance of Worker Co-ops: Exploring the Potential of Co-op Led Development," was published as part of Erbin Crowell’s final project for Since it was completed, Erbin Crowell left the role of staff developer for the Valley Alliance of Worker Co-ops (VAWC) to take the position of Executive Director for the Neighboring Food Co-op Association (NFCA), a network of food co-ops and start-up initiatives in New England. Adam Trott, who served as staff liaison for VAWC and a close collaborator in the development of this report, stepped up to take on the role of Staff Developer. Since then, VAWC and the NFCA have been partners in expanding the vision and impact of co-ops in the region. Reports such as this often exist in isolation from their subjects and are allowed to languish separate from their intended goals. Rarely to we stop to look back and consider them in the light of later events. Were our assumptions correct? Was the vision laid out compelling and relevant? Have we been able to accomplish any of what we hoped? With its particular closeness to VAWC – this report is part of the VAWC Owners’ Manual given to every member Co-op - we thought it would be useful to provide a preface to as an update and reflection on VAWC’s progress over the last few years. This report serves as a strategic reminder to the Member Co-ops of VAWC of what it was and why we set out to accomplish together. For those interested in our model it serves as an introduction to the context of our work and the basis of our approach to collaboration and business development. From the outside, it may appear that VAWC’s progress is a fluke or happenstance. This report communicates the analysis undertaken, the planning and collaboration that went into establishing a different path for co-operative development in our region. It describes the international and regional context VAWC co-ops are working in regarding research and structures. At the time co-ops leading an organizing effort to formulate a development staff directed by co-ops was a foreign concept. For most it was something that few understood or valued. For VAWC Member Co-ops it contextualizes the effort worker co-ops are making in western Massachusetts and southern Vermont to participate in education, development, financing and marketing to create a rich, diverse co-operative economy. Among the questions we were attempting to address: How can worker co-ops pool resources to meet their own goals for the long and short term? What was the process of co-ops coming together to form a secondary co-op? Did we have the critical mass to ensure staff and organizational capacity to reach our shared goals? Why did this cluster of co-ops feel they had to step up into development and mutual support for business success? What were the key ingredients required for us to have the capacity to mobilize efforts for education, development, and self-directed co-op activity? This critical feedback was useful as it articulated challenges that did in fact exist and provided a format to respond. Was it true co-operators were too busy? Or was it necessary to re-organize models of development so that co-ops could channel their interest and constructively share their expertise? Was it a lack of time to dedicate to issues larger than one business at a time? One could also say a lack of a co-op directed venue for members work together for long term strategy prevented possibilities of cross co-op collaboration. Were the differences among worker co-ops obstructing pooling resources? As in any movement the question guided us towards having the task of finding shared advantages to work from. Did we consider co-operators experts? This question deserves more time. In short a response is: Co-operators run their own businesses, why can't they run their own support and development? We weren’t sure our movement is dreaming big enough. …Tools and materials for communicating shared identity; Cross marketing opportunities; Advertising and press initiatives; Public events and outreach. In 2009 VAWC launched our ‘Working for a Co-operative Economy’ marketing campaign, with rotating ads featuring all VAWC Member Co-ops under one recognizable slogan emphasizing their shared co-op identity. The campaign focuses on advertising in area food co-op newsletters and other receptive outlets, directly reaching over 11,000 co-op members in our region. With support from Michael Johnson of Ganas Community and the NFCA, we worked with the Economics Department at the University of Massachusetts, Amherst, to co-found the Co-operative Enterprise Collaborative. The Economics Department now offers a Certificate in Co-operative Enterprise, including an upper level class and an internship program. In our fourth year offering this certificate over 200 students in 6 classes have learned the major dialog points and shared advantages of co-operatives. The certificate is fortunate to find support in a unique department founded on collective and radical principles and the presence of several student run businesses that operate as if they were worker co-ops. 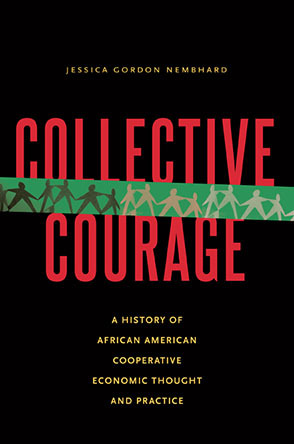 In 2013, Crowell taught a senior seminar on the co-operative movement as part of the University’s Social Thought & Political Economy (STPEC) program, and will teach a 100-level “Introduction to Co-operative Movement” in 2014. Co-operators and the support staff have visited several other classes within the university to augment existing curriculum through related co-operative history, identity and case studies. Key to the success of Mondragón and Italian co-ops is direct, strategic engagement in co-operative development, and the dedication of financial resources to these purposes. Since VAWC formalized its co-op led development model in 2009, it has doubled in membership. In the space of two years, VAWC has supported the conversion of 4 existing businesses into worker co-ops as well as a start-up worker co-op. This has brought our system up to 11 Member Co-ops with 65+ worker/members, 10 apprentices, $7.2 million in annual revenue and $35,000 in annual charitable donations. This is an achievement for co-ops running an organization of our scale and speaks to the impact of our model. Recently our work was recognized by the Eastern Conference for Workplace Democracy when VAWC received ‘Co-operative Advocacy and Development Award’ for 2013. VAWC could consider (using surplus from member co-ops from Italy's Emilia Romagna as a source for) policy for members that would contribute to a fund that could either operate independently or, rather than duplicating effort, in collaboration with an existing fund. The fund is made up of yearly contributions of a percentage of surplus from VAWC's Member Co-operatives, a financing mechanism learned from a system of co-ops in the Emilia Romagna region of Italy. In a law written by co-ops themselves, every co-op is required to contribute 3% of surplus to a development fund of their choice and the result is one of the largest and most integrated co-ops complexes in the world. VAWC Member Co-ops contribute 5%. The vision of the co-operative identity as a coherent economic alternative provides the core rationale for interco-operation, both within the worker co-operative sector and across sectors. If one believes in the core principles and values of co-operation, and ascribes certain benefits to the model, one can easily understand the role of co-operation among co-operatives as having both ethical and pragmatic characteristics. From its beginnings, VAWC was supported by the United States Federation of Worker Co-operatives (USFWC) and benefited from the experience of the Network of Bay Area Worker Co-operatives. The parallel development of the NFCA, which includes 35 food co-ops and start-up initiatives across New England, has also offered opportunities for dialog and collaboration in a regional level that did not exist before. Both of our associations work closely with partners including the Cooperative Fund of New England, and were co-founders along with Franklin Community Co-op, NFCA and the UMASS Five College Federal Credit Union of the Valley Co-operative Business Association (VCBA). This organization, incorporated as a second-level co-op of co-ops, has led a new wave of similar efforts across the country. In the context of a continuing global recession there is a hunger for economic alternatives which represent democracy, community and sustainability. This is what co-ops do best. We believe that the momentum of the co-operative movement in our region is the result of learning from the experience and success of others, applying these lessons to our own context, and then collaborating in a deliberate and strategic manner to carry our work forward. We hope to share our experience with co-op led economic development and support the efforts of others to advance similar work in their communities. We welcome your feedback on this report and look forward to collaborating with likeminded organizations as we continue to articulate our vision for an expansive co-operative economy rooted in our history, values and principles. Editor's Note: The full text of the report can be found via this link. Adam Trott is Staff Developer at the Valley Alliance of Worker Co-ops. Erbin Crowell is Executive Director of the Neighboring Food Co-op Association.